Jobs Description: PPHI Jobs December 2018 are listed below in our site. 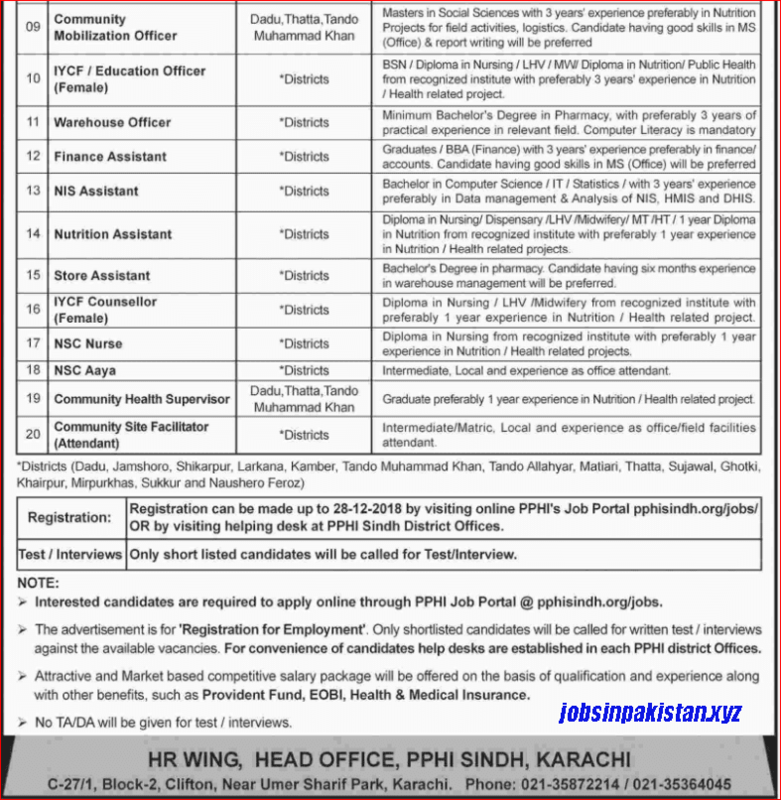 Visit our site to check PPHI Sindh Latest Jobs. 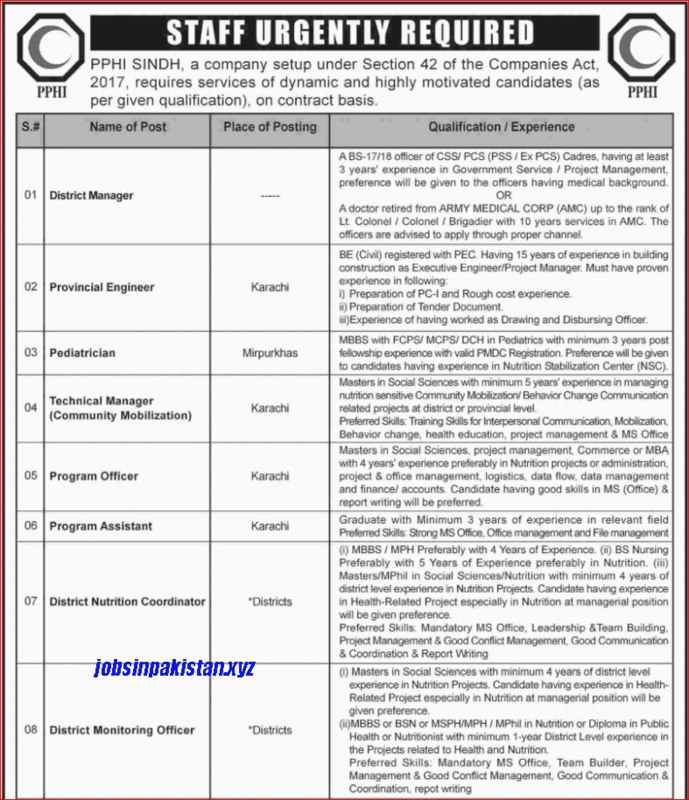 PPHI Sindh has required the applications for following jobs. How To Apply: The interested candidates may apply online through PPHI official website.